I was trolling Apartment Therapy today when I came across a great post about how to hide a circuit box. We all have that hideous gray box somewhere in our house and although some are lucky and its in a closet or otherwise inconspicuous space, but for many others is just staring you down in a room or hallway. So what do you do? You cant cover it with anything permanent like a bookshelf because you need to be able to access it if it needs resetting. Well, Jason Loper decided on a simple and elegant solution…cover it up with a fabric panel! Simple and beautiful! Plus because its a fabric painting its super easy to hang and remove when necessary. Also, you can follow these instructions for making your own fabric panel to match any room in your house! 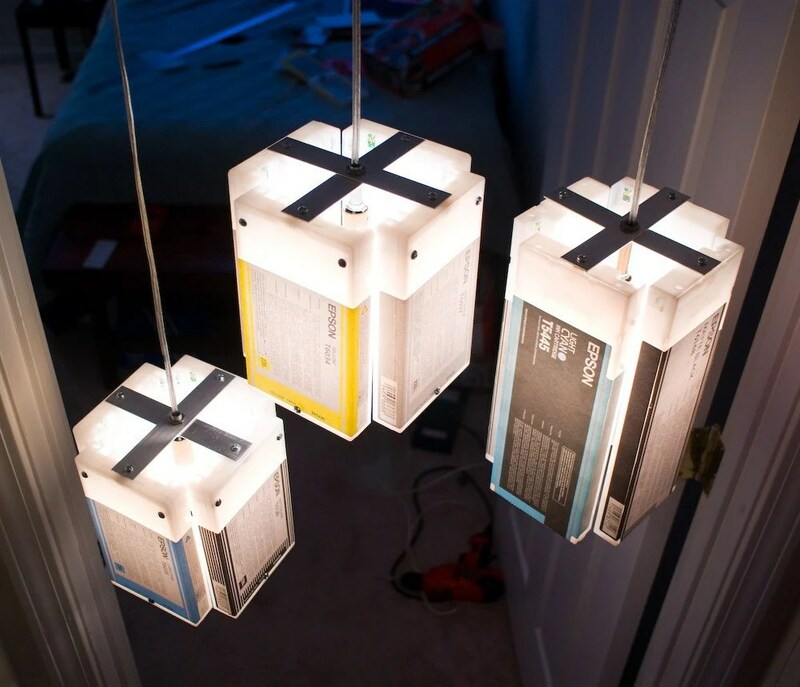 Ever wondered what to do with leftover printer cartridges? Probably not, like most people, you probably just disposed of them and went about your day. Well, I bet you never thought of turning them into a chandelier! But, apparently one crafty Etsy seller has! Check out Boxlightbox’s Etsy store to see all their fun cartridge lamps and chandeliers ranging from $35 to $100. After over 2 years of dating, two of my good friends are taking the next step and moving in together. Of course I couldnt be more happy for them, but immediately my mind began buzzing with solutions for their new cohabitation. You see, the space they are moving into is a studio and albeit a nice size, (in fact its about the same size as the 1 bedroom I share with my boyfriend) it will still require some creative solutions for maximizing their space. Here are some design solutions and neat products that could help anyone trying to make the most of limited space…while still looking chic of course. 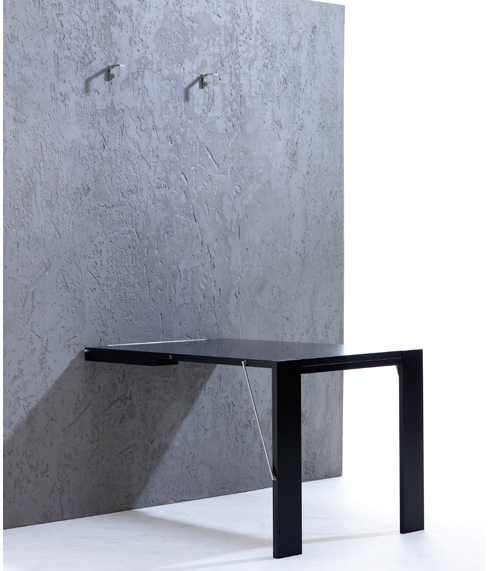 Nice normal table which in a very sleek way attaches to the way. Cool huh? Oh it gets better. Bam! Didnt see that one coming did you? 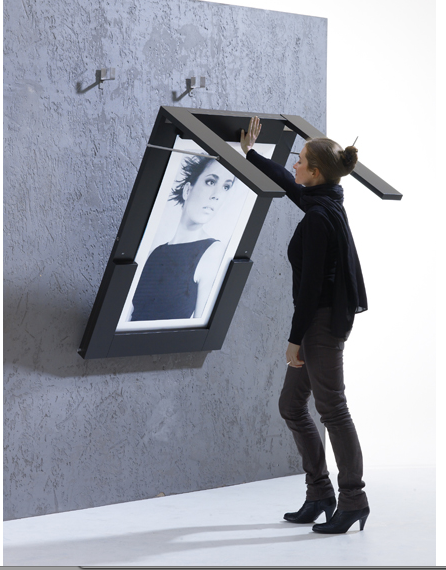 The table/picture frame is designed by IvyDesign and is meant to function as a kitchen table but can easily be folded up to create extra space when needed. While the concept isnt new, I do applaud the beautiful design of IvyDesign’s Picture Table. If someone wanted they could even make their own by securely hinging a table to the wall and having hinges on the legs. From the wonderful site, Ikea Hacker comes this great idea for creating a expanding and collapsing craft pod or workstation. When it comes to living with your partner, you need to make sure both people have a space to call their own. With my friends that are moving in together, he already lives in the apartment and has a desk set up, but his girlfriend will need a space of her own. I love this idea because it can easily fold up and sit against a wall but when she needs to work on her computer or craft, she can pull it out and roll up a chair and shes good to go! Its a common solution but hey, its common for a reason, it works! Studios especially often need to be divided so that if one person is staying up later than the other, they dont have to worry about disturbing them. While you can do some beautiful dividers with curtains, they dont provide much function. When living in a tight space, creating storage is always key, so using a slim bookcase as a room divider is the perfect fix! 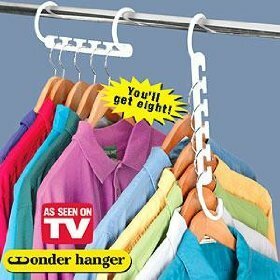 Ok I know youve all seen the latenight infomericals for these hangers, but let me tell you these actually work! I use a bunch of these in my closet and its given me twice the space (which I promptly filled up with twice the clothes). Sharing a closet can always be tricky and girls often have a lot of items that need to be hung up, so these can be a real life saver. My only tip would be to organize your clothes into categories to make it easier to sort. For example, I’ll use one set all for dresses, another for sweaters and another for dress shirts. You can pick these up online or at Bed Bath and Beyond. So those are just a few solutions I came up with today. 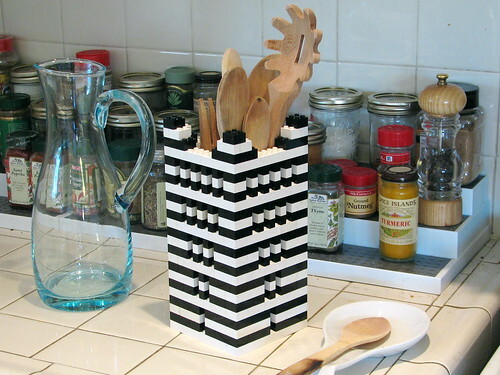 Im going to keep brainstorming ideas for small spaces and posting cool products as I see them. If you have any small space solutions please send them my way! 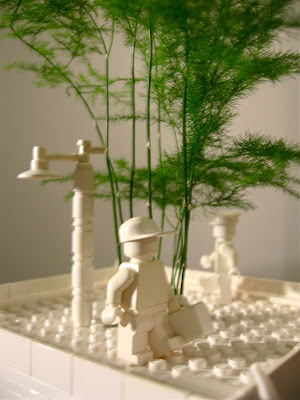 Earlier Katie posted an awesome blog about Lego ceramics (I want them so bad!). 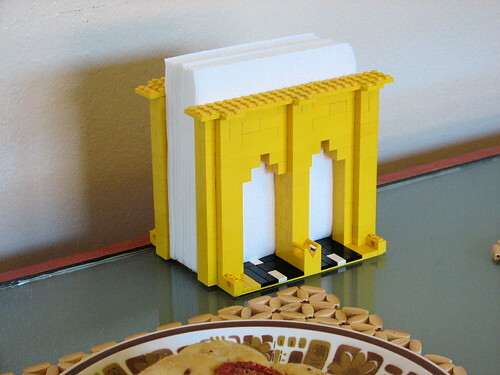 But until these get distribution theres a few ways you can enjoy some DIY Lego home decor right now. 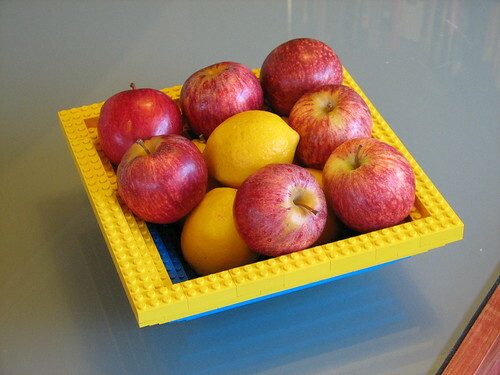 A napkin holder, utensil holder, fruit basket and more. All of these can be yours with a little time with some bricks. 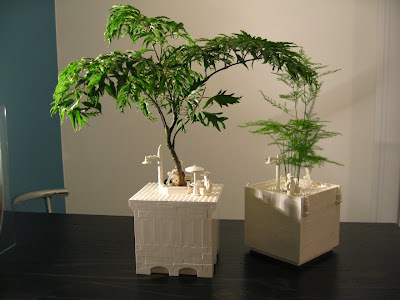 When Bob of The Bob Blog found out a that some planters he wanted were a little out of his price range he did what anyone else would do….build them out of legos. I wouldnt mind having any of these in my apartment! For the truly geeky who want their domicile to reflect their geeky heart consider these elegant ASCII curtains. I cannot read Dutch so dont ask me where this is coming from or how much it costs. It appears to be from a Dutch design house called N.Sybrandy and is meant to reflect a common thread in all of us both in the natural image of the tree and in the ASCII language which is universal. All I really know is that it is awesome. Amsterdam design house Tjep. (the period is part of their name) specializes in both product furniture, interior design and everything in between. Their style is a mixture of childlike fantasy and modern minimalism. The above photos are from a Rotterdamn sofa shop called VilaSofa and they wanted to combine the warehouse look with a mixture of fanciful comfort classic designs. I love that it feels warm and inviting due to the childlike elements of the slide and picnic table all while looking very adult and chic. This next design was done for a restaurant and yet again its focus was to create an environment that would be welcoming to both adults and children. The trick was to make stylish furniture for the adults that the children can play with, for example bus tables, tunnel benches, play tables and movie houses. Don’t miss the play area to the left in the picture above. Pop colors in a playful space! What more could you ask for?! The restaurant is called Praq located in Amersfoot. As a color geek I just have to say I love the use of orange and pink, it can be an overwhelming combo but when done correctly as it is here, it is chic and design forward. Next up is a school…a school! I want to go to this school! Its a ROC professional training school in Apeldoorn and if I went to this school I would never ditch class…ok maybe I would but just to hang out in these awesome areas. This is a conference room for the Economics department and the look is so industrial and yet airy that it creates such an intriguing atmosphere. For such a playful space it still feels charged with energy, power and creativity. This is what I think everyone would agree is the most amazing space of all…ok maybe its not the most intriguing design but surely we would all love this in our home. A foosball table with bleachers for fans to cheer their favorite team on. Simple and fun, whats not to love?